In the future, it is my hope that the first Sunday of each month, I’ll have a step-by-step tutorial for you. However, given that this is a long holiday weekend in the States, and a vacation time for many, I decided to post the step-by-step next weekend. Instead, I’m going to build on the Basic shapes step-wisely, I posted last week. The focus there was on using the three basic shapes-circle, square and triangle and their variations, ovals, rectangles, scalenes, etc. I’ve created a plant using a simple-combination of circles, square, triangles and ovals. 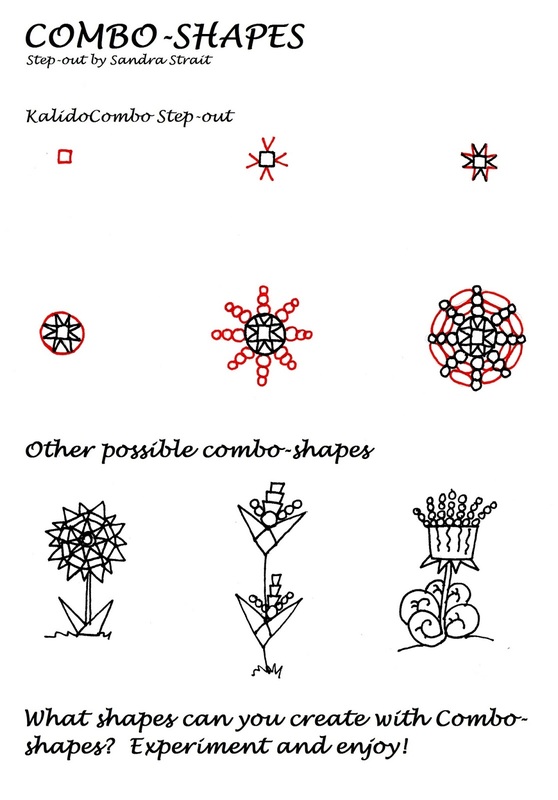 Rather than giving you variations of this exact combination, I’ve shown other possible combinations using those shapes. I challenge you to come up with some funky plants of your own. For a full list of Fantasy Landscape Step-outs, Step-by-steps, Step-wiselys and guide rules go here.